Running a hotel and convention center is no easy task: both have unique requirements and needs. Regency began with a hotel conference center, and now we manage multiple properties with thousands of square feet in convention space. We know how to run any event, whether it's a business convention or wedding, and how to make them take place without a hitch. Larger properties take a different type of management process. There are multiple groups at the same time, planning convention spaces and meeting setup, coordinating transient rates, and more. But we love the opportunities each of those aspects presents. We look at revenue through the lens of both the convention and hotel side, and identify the most profitable groups to go after. We also know when it make sense to discount rates and when it doesn’t. The right planning is imperative to ensuring quality guest experiences. We focus on the bottom line to ensure our properties are profitable. Our sales team goes after the groups and conferences that make sense, and builds relationships with key stakeholders to be part of conversations. 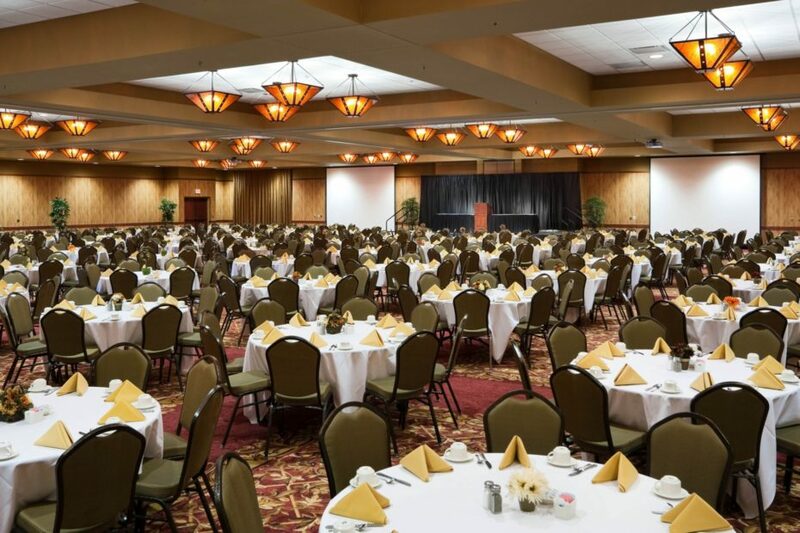 A large expansion adding restaurants and meeting space planned at Bridges Bay Resort in Okoboji, Iowa.